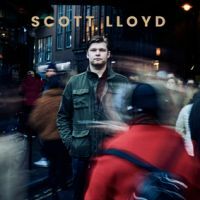 11.04.2019 14:54:57 - Manchester-based Scott Lloyd, 30, has melodic pop indie track Soothe My Soul from his forthcoming album played each day as Song of The Week on BBC Tees and heard by Radio 1 and launches album. (live-PR.com) - As the album’s release date approaches, Scott has had all three of his already-released singles on radio in the USA, Lonely Oak Radio, and on Holland’s Songs From The North by Erik Echt and featured in a podcast and a new music radio show called You Haven’t Heard This Music and was featured on indie blog Ralf-s Life. raised in Middlesbrough and living in Manchester, met his producer Mathieu Garcia at an open mic night in 2017, organised by Scott and the pair decided to work together, resulting in the self-titled Scott Lloyd to be released on 19th April 2019. Scott has already had an enthusiastic reception from the music press with James Wilson at the Indie Band Guru website writing: "His storytelling quality and vocals are mesmerising…his words form a wonderful landscape.". Living in Manchester with his wife Grace, who he married in the summer of 2018, Scott has written about living in the North of England and his album is autobiographical telling the story reflected by the photograph of Scott enjoying a pint in a pub in Didsbury, Manchester on the Looking Out to Sea CD cover. It is not a wonder that he was inspired by the melodic guitar classic blues rock by The Eagles, Rod Stewart, Billy Joel, Doobie Brothers and ELO that his father listened to, which inspired Scott to pursue a life of music.